Looks like we made it to another Tuesday everybody. This week I talk about the rehearsal I had leading up to my October 8th gig at AS220, I explore some ideas given to me by my friends on how to improve the podcast, do a bit of refocusing, then dive into the world of sheet music and it’s joys by discussing how I organize charts, things to think of when notating your tunes, what the point of being specific is, how important they are to communicating ideas, and how all these concepts transfer over to other parts of our lives away from the art. For more information or ideas about the stuff you heard, feel free to check out ahueofshaw.tumblr.com, and enjoy this episode! 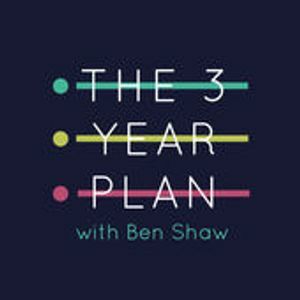 If you wish to listen to previous episodes, you can check them out on SoundCloud at https://soundcloud.com/the-3-year-plan or on Mixcloud at www.mixcloud.com/the3yearplan/.